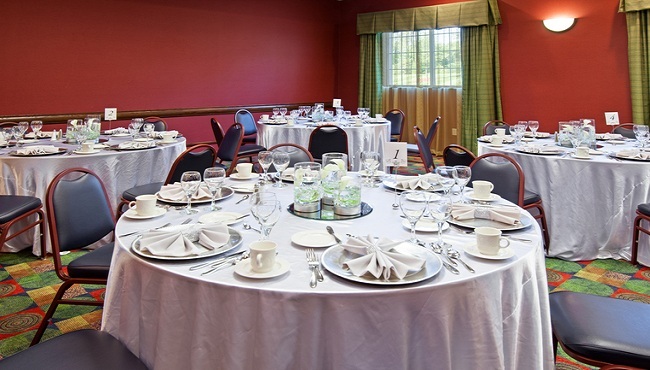 Comprised of three separate meeting rooms, the event facilities at the Country Inn & Suites, Grand Rapids East, MI offer an array of audiovisual equipment that can be rented for a small fee. Let our friendly staff help you choose the equipment you need and create the perfect room layout. Choose from the 352-square-foot Kuyper Boardroom, which accommodates up to 12 people; the 784-square-foot Aquinas Room, holding up to 60 guests; and the 1,120-square-foot Calvin Room, which welcomes up to 100 attendees.